Equipe da banda Thirty Seconds to Mars está no Brasil para shows e vieram fazer o Tour Favela Santa Marta com a gente. Gostaram muito de conhecer nossa favela e de tomar uma caipirinha apreciando a melhor vista da cidade. 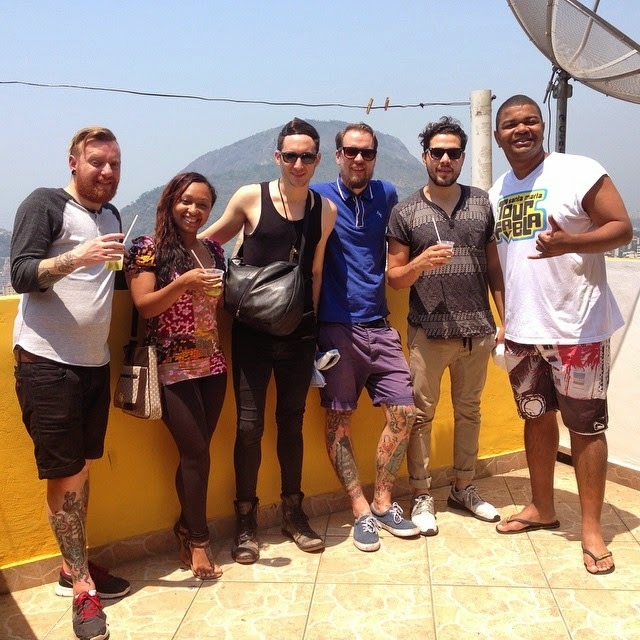 Team of the band Thirty Seconds to Mars is in Brazil for concerts and came to the Santa Marta Favela Tour with us. Loved to know our slum and a caipirinha enjoying the best view in town. I am more interested in tattoos. They look really nice. I hope the show was great and everyone had fun.